A petition has been launched to reverse a decision to block a Greenpeace ship from berthing at Leith Docks. The Esperanza, a former Soviet navy ship, arrived in the Firth of Forth on Wednesday and is expected to stay for a week.The Esperanza is the largest vessel in the Greenpeace fleet. Forth Ports told the group it could not dock as the port is full, but they agreed a compromise letting the vessel moor off Granton Harbour. Greenpeace is visiting Edinburgh to support plans for a deposit and return scheme on drink containers that would potentially reduce plastic pollution in the sea. On Thursday French warship, the FS Languedoc, with around 140 sailors on board, was one of the ships moored at Leith docks. Malcolm Traill, from Leith, started the online petition, which has more than 1200 supporters. He said: “I take an interest in Leith and the environment and I was disappointed with the position that Forth Ports were taking – they should have let the Greenpeace boat berth. “I spoke to local people, some who work in Leith Docks, and they said that there’s ample space in Leith Docks and it’s actually a very rare occurrence that the Port of Leith is full to capacity. “Greenpeace are here to promote measures that would combat plastic waste. “So MSPs would have been invited on to the boat to learn about Greenpeace’s work and the effects of not recycling. 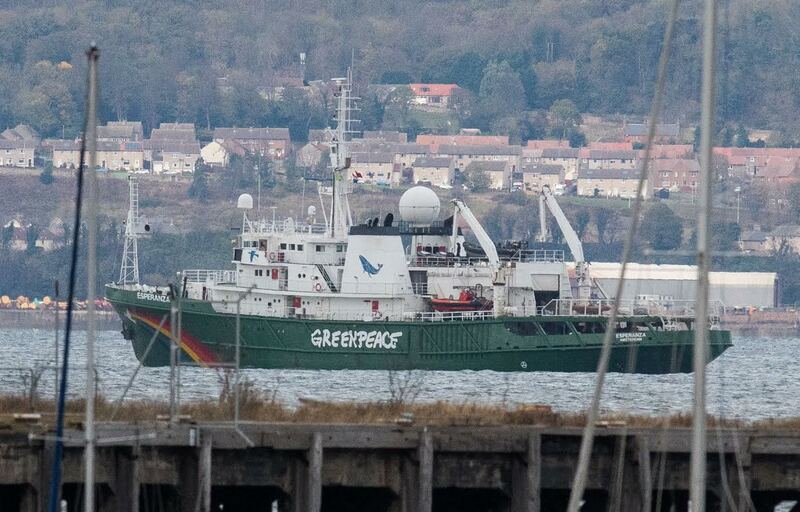 “Forth Ports should have allowed Greenpeace to berth their vessel – we should all be supporting them. Willie Mackenzie, an oceans expert with Greenpeace UK, said: “We were surprised to be refused entry for the Esperanza to dock in Leith, and had to explore other options after hitting a bottleneck with the Forth Ports authority. But we’re pleased to now be anchored outside Granton. “We reached out to various contacts, and local MSPs Ben Macpherson and Alison Johnstone, as well as many members of the public, offered their support too – which we are obviously very grateful for. “We really wanted to be in Scotland to launch our major campaign against ocean plastic pollution. “Scotland was ahead of the curve on the plastic bag charge and can lead on stemming the tide of plastic bottles entering our oceans too. 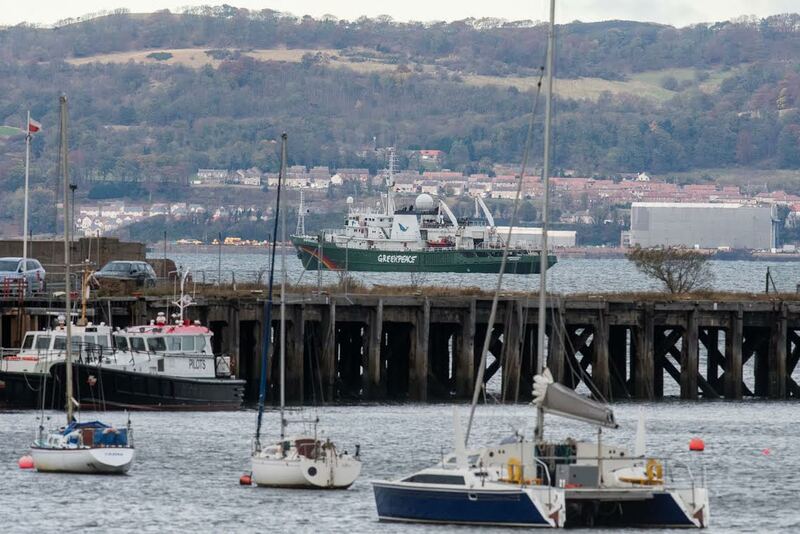 A spokeswoman from Forth Ports said: “Greenpeace have accepted the offer of an anchorage in the River Forth and their vessel, the Esperanza, is now moored in the Forth Estuary off Granton Harbour.